To the adults who visited the library it was just a cardboard box, but for the children it was so much more. It was a simple house, built from an appliance box, and painted with bright colors. 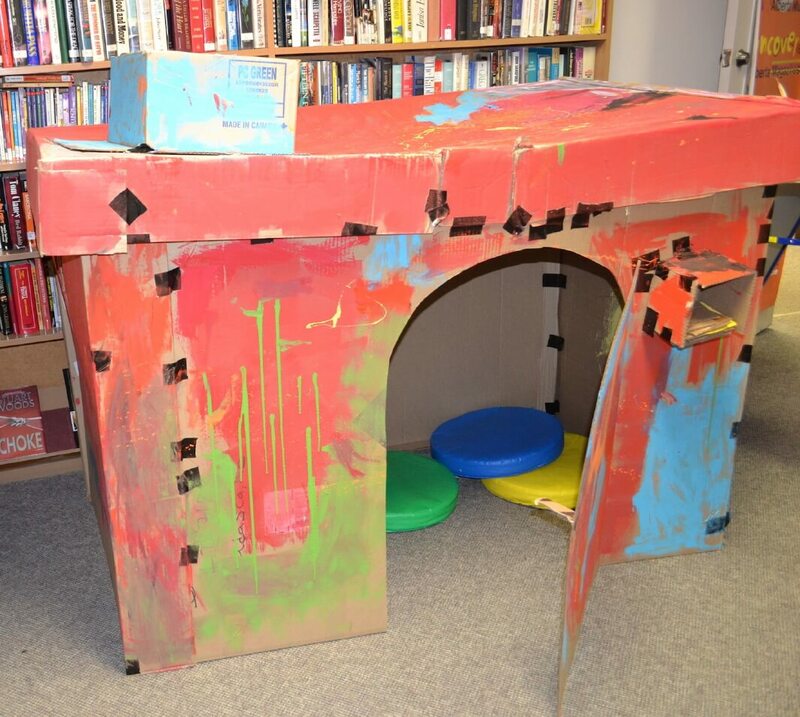 The children had lovingly created it during the summer and played in it constantly. That house became a hiding place, a den, and a castle. It was a place where imagination flourished and some serious play occurred. We simply did not have the heart to throw it away when the summer program ended. You came into the library that day with your daughter and she was so excited to be with you. Your family was in the middle of a move. It was hectic. It was stressful. It was hard work. But that day you took time away from your new job and your busy schedule to be with your little girl. She took one look at the cardboard house and saw the perfect place to have tea with her daddy. Together you walked down to the children’s room to collect the tea set and your daughter carefully set it out in the cardboard house. Even though the house was not built for adults, you squeezed in to have tea with your precious child. Your knees must have been up around your ears, but somehow you fit into that house and entered the imaginary world of your daughter. In that one moment you put aside all your distractions and enjoyed a moment of special time with your little girl. I do not know if your daughter will remember this particular tea party in the cardboard house at the library. But know that her spirit and her heart will remember. She has absorbed your love and attention. You showed her that she is the center of your world. In that moment she knew she was loved, treasured and more important than your job. Your daughter may not be able to articulate any of that right now, but deep down inside, where it really matters, she will understand these things. That is a priceless gift and the world is a better place because of it. To every parent who slows down, lets go of their distractions and gives the precious gift of presence to their children. Thank you. You will change the world. Thanks for dropping by! I will hop on over to your blog very soon! That’s inspiring. I’m so happy run across dads when I’m out and about, who are loving their kids and paying attention to them. I saw a dad entertaining his daughter (who was probably nine or ten) in JCPenny’s home goods section. It was impressive and delightful! Isn’t it wonderful to see? We have three dads who bring their preschoolers in for story time at the library. I love watching the dads and kids doing the crafts together. What a lovely post, very inspiring! Lovely post – moments like these are precious and it’s lovely to watch. Popping over from Let Kids Be Kids.